On Tuesday September 29th, I went to my OB for a regular check-up at 16 weeks. I had Gwennie with me and had told Bill not to come, as it was just a routine check for the baby with the Doppler. During the exam Dr. G. couldn’t find the baby’s heartbeat and said he thought the baby must have been lying in an anterior position where we were unable to hear. He asked for me to go to the ultrasound room so that he could get a better look at the baby. In my heart of hearts, I knew then that was something was seriously wrong. Sure enough, during the ultrasound, Dr. G. said “I’m so sorry, but I am not seeing what I want to see here.” The baby wasn’t moving and there was no sign of a heartbeat. I tried so hard to keep it together for little Gwen but I was just devastated. I immediately called Bill and my sister-in-law, Cindy. They both came over right away to the Doctor’s office and Cindy took Gwennie home with her. Dr. G. called the hospital and had me immediately admitted to Triage to see the high-risk Doctor. Again, they did an ultrasound and Dr. C. said that he thought the baby was measuring around 12 ¾ weeks, which meant that Henry had died a few weeks ago. I had no idea anything was wrong. I had no bleeding, cramping, nothing. Because the baby was over 12 weeks, Dr. C. told me they would not be able to do a D&C. The baby was too big for such a procedure and they stated that since I had had a c-section with Gwennie, it could seriously damage my uterus and possibly end up with me having a hysterectomy. So, he had me admitted to the GYN floor where they would induce me and I would go through labour and deliver Henry. We had to go through a lot of paperwork and queries upon admission. Did we want an amniocentesis and full genetic work-up done on the baby and me? Did we want an autopsy done on Henry? Did we want to make our own funeral arrangements for him? 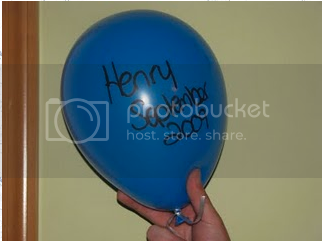 Did we want to see Henry once he was born? Did we want a memory box with his things enclosed? So much to think about when you are so distraught. I don’t know about Bill, but I felt like someone had thrown me at a brick wall going at about 100 mph. That afternoon, they started me on misoprostil, which is a medication used to induce labour. I began having it orally and at a low dose, one tablet every 6 hours. They take extra care with women who have had c-sections, as there is a risk of rupturing the uterus. And so began my first day of labour. Wednesday morning, the Docs reevaluated my progress, which was extremely slow. They decided to give the medication vaginally as this can speed up the labour process. By the evening, they doubled the dose of the miso and gave it every 4 hours. My cervix was thinning out slightly but there was no sign of dilation. I suffered minimal cramping and they hooked me up to a PCA pump, but I suffered with the most crashing headache (a side effect of the miso). Stay at the hospital and continue with the miso and hope that it would only take another day to deliver the baby. Go home for the weekend. Get some rest, be with Gwennie and Bill, and then come back on Monday and start the process all over again. Henry was safely in his little sac and so was not endangering my body at the moment. Go to a hospital in Tampa, where there is a surgeon who could operate to remove Henry. Go to an abortion clinic, where Doctors are used to expelling babies greater than 12 weeks gestation. Having surgery to remove Henry at our hospital was not really an option at that time as the Docs were concerned that it would be too much trauma on my body and again, I could end up with a hysterectomy. As much as I had had enough and wanted to go home, #2 was not something I felt I could cope with. I couldn’t just go home and then come back and start all over again. It felt like I was taking one step forward and three steps back. #3 felt like a last resort to me. I did not want to leave my OB that I had worked with as a postpartum nurse… the man who did such a great job getting me through Gwen’s difficult birth and whom I trusted intensely, to go to a strange hospital with Doctors that I didn’t know. #4 was not an option. There was no way in hell I was aborting my baby at some clinic. We talked some more and Dr. G. voiced his concerns about my uncooperative cervix. They could definitely see some progress and I was effacing (thinning out) well, but it just didn’t want to open. I had surgery for pre-cancerous cells when I was about 18 and I have quite a lot of scar tissue. Dr. C. decided he wanted to get a closer look, so he brought up the ultrasound machine. He said that my cervix was very long, but he didn’t feel that the surgery I had had should affect the dilation too much. Both Docs felt that I had made progress, albeit very slow, and eventually we decided that I would stay another day and keep going and see what transpired. The baby had descended low and was right behind the cervix. I just had to open up a little bit and we would be on the home straight. To be honest, after discussing our options, I think it gave both Bill and I the strength to carry on and stick it out. During this time we were so blessed to have Cindy take care of Gwen and Kate (our Lab). She really stepped in and just took over our home life for us so we didn’t have to worry at all. A dear friend, Kaley, also helped us out and had Gwennie for two afternoons. I truly don’t know what we would have done without these women. Bill and I both decided to open up about our plight and we reached out to the people who are important in our lives. We were inundated with messages of love and support… wonderful telephone calls… offers of help… beautiful flowers… and so many prayers. We are so blessed to have such wonderful friends and family. It meant so much to us to have all this support at such a difficult time. My Dad was fantastic. He came in to see me every day and stayed with me so that Bill could get a break and go home for a little while. It meant so much to have him there. Bill and I appreciated his support so much. Both Bill and I really missed our Mums, but we spoke on the phone everyday with them and felt they were there with us in spirit. By Thursday I was feeling very sore, exhausted, and in pain. It was really hard having internal exams every 4 hours… plus a few extras as my OB would come in and check me regularly to see how I was progressing. There was slight concern as the misos ceased to dissolve inside me and I was even expelling some of the pills. One Resident that I saw for several nights said that he was concerned my insides were getting completely ravaged and so the medication would cease to work properly. He said that they had never given so much misoprostil to a patient before. Just digressing slightly, my OB was absolutely amazing. He was so supportive and came in to check on me regularly at all hours. He even stayed the first night at the hospital because he was worried about me. I was his only patient that night. He could not have done any more. He could have just passed me on to the high-risk Doc, but he kept involved the whole time. Fortunately, he and Dr. C. have a lot of respect for each other so I know they discussed my whole plan of care together during my stay. I woke up around 5:30am with some serious contractions… hard, strong, and about every minute. I thought, “Please God, let this be it.” The Resident came in and checked me and I had dilated to 1cm. At 7:35am, I delivered Henry James. I think my world came crashing down at that point. I felt like for the past 3 days, we had been kept in limbo. It was surreal and felt like it wasn’t really happening and all I could do was focus on getting through the pain and the all the poking and prodding. I felt like my body had been completely violated and that I had no shred of dignity left. And then there was my son. And I can’t tell you how awful it was to look down and see his helpless, tiny little body just lying there. I think a little piece of me died right there and then. Henry was taken away to be bathed. I delivered part of the placenta an hour or so later. We had a lovely Chaplin come in to visit with us daily and she came back with Henry once he had been bathed and dressed. We were able to hold him and be with him and the Chaplain said a blessing. 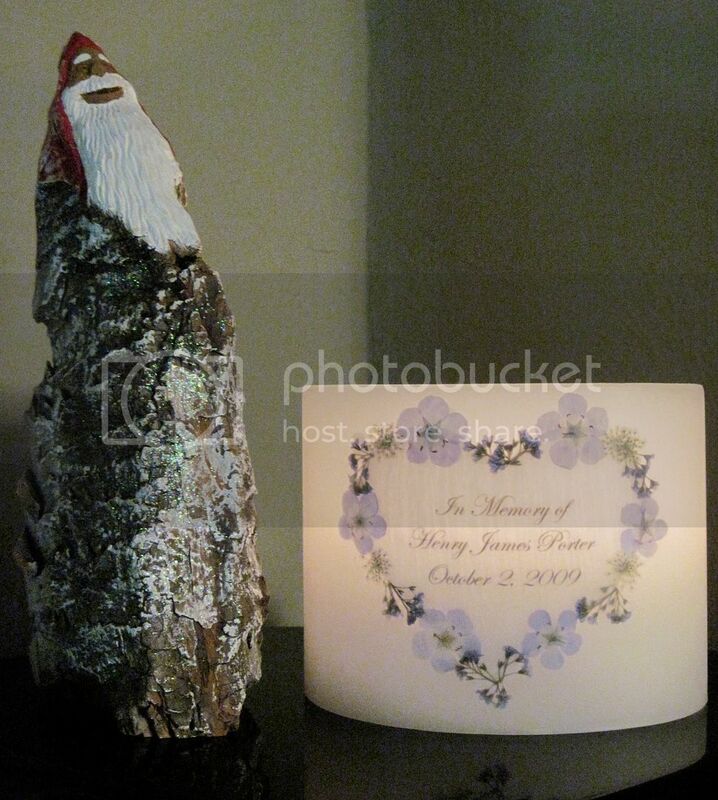 We had already decided upon a name soon after we discovered I was pregnant… and so he was named Henry James. He was so tiny, yet so perfectly formed, and when they took him away I couldn’t bear the thought of him being all by himself. As crazy as it sounds I wanted to hold on to him and protect him and yet I knew that I couldn’t do that. It was awful and probably the hardest thing I have ever had to do. It isn’t right that you should ever have to say goodbye to your child. The Resident did an ultrasound to see where the rest of the placenta was in my uterus. It showed up right near the opening of the cervix. They umm-ed and aah-ed over whether to give me a D&C, but in the end, they felt that the placenta was close enough to the opening that there was a good chance it would come out by itself. I was so relieved as I felt I couldn’t physically or emotionally cope with anything more invasive… and with general anesthesia on top of that. I was eventually discharged around 3pm. I chose to be taken down to the back of the hospital where Bill came round to pick me up in the car. I couldn’t bear to go out front where all the new Mummies would be going home with their newborns. I had the best welcome home from Gwennie. She was so pleased to see me and she gave me the biggest hug. I have to say, I was so blessed to have her waiting at home for me. I may have left the hospital with empty arms, but Gwennie filled them when I arrived at home. Thank God for her. I never thought that I could possibly love her anymore than I already do, but this experience has only made me cherish my time with her even more. I know that she and Bill and Kate will all give me the strength I need to pull through and carry on. I was so exhausted when I got home. Kaley was there at the house and she took care of Gwen whilst I went and put my feet up and Bill went out to get some groceries in. I know that poor Bill was absolutely shattered as well and at 9pm we decided to call it a night. I popped a sleeping pill, as I knew there was no way in hell I would be able to sleep without it. We all had a good night’s rest, which was much needed. But the morning came and, as had been for the past 4 days, reality hit me hard in the face and I found myself in floods of tears. I look forward to the morning when I can wake up and not have to cry. This morning I was eager to get out of the house and get some fresh air. We went for a nice walk and let the girls play at the park. When we got home, I had some bad cramping and heavy bleeding and then I delivered the rest of the placenta. Hopefully now nature has taken its course and we are on the road to recovery. Our dear friends, Lisa and Tim, came over to visit us this afternoon. I can’t tell you how good it was to see them; to hug and share our story… and to hear their news and feel some sense of normalcy again. Lisa cooked and brought us a five-course meal. I think we have enough food to last us a week! And I have to say, this woman can cook!! It is just the most amazing spread and her kindness knows no bounds. We are so grateful to them. And so begins our journey of moving on. We don’t know why Henry died and we opted not to have an autopsy. Both Bill and I accept that he just wasn’t well and although it is devastating to lose him we would never have wanted for him to go on and suffer. I know it will take time to grieve and finally come to terms with and at peace with all that has happened. I know we will have good days and bad days, but I know we will get through this. I am so lucky to have such a wonderful husband. I would never have made it through all this without him. He is my hero and my rock. I am not sure quite how I ever deserved him! We have a memory box that the hospital put together for us. It includes Henry’s blankets and his ID card and photographs. I also added our ultrasound pictures once we got home. When Gwennie is old enough, I will be able to tell her all about her little brother and show her his things. I will continue to document my thoughts, feelings, experiences over the next weeks, months, however long… it really is therapy for me to write it all down and who knows, maybe one day we will be able to help someone else in a similar situation. Right now, we just have to take it one day at a time. Thank you so much. We really appreciate your kind words. Thank you so much, my friend. Our friends are such a comfort. I’m so sorry for your loss. Henry was blessed to be so loved. You are lucky to have a wonderful support system to help you through this difficult time. If you would like any information about grief and loss, check out http://www.nationalshare.org. They are a support resource for families like yours and their services are free. Thank you for sharing your story with the world! Through you, Henry will live on. Thank you so much, Megan. I really appreciate it! I am so sorry to hear about your loss. I know it is devastating but like you said, all we can do is take it day by day. Thank you for sharing Henry’s story and your story, I have found my blogging to be therapeutic in my life too. I honestly don’t know where I’d be without it. I have met so many women who get it, all of it and don’t judge, just listen. Sending you BIG hugs! Oh Sarah, how horrible to have to endure labor for days like that. Everytime I read someone’s story, I am amazed at how different, yet similar the experiences are. I’m so glad you got to hold Henry. I didn’t want to at first, but I’m so glad I held Ella, even if only for a short time. We elected not to do the autopsy, either. I just couldn’t handle anything else. Thinking of you and your sweet baby today. I’m so very sorry you lost your precious little boy, Henry. Your description of saying goodbye to him has me in tears. Those days in the hospital, and being faced with so many impossible decisions, must have been incredibly painful for you and Bill. Thank you, Catherine. I wish it were under different circumstances, but I am so glad to meet you and I am so terribly sorry for your loss too. I saw the name of your blog on another I was reading and had to come over. I am so sorry you had to say goodbye to your Henry. From another mom who had to say goodbye to her own Henry. Thank you so much, Sara. I am so sorry you lost your Henry too. Very touching. Thank you for posting your story. I was working one day and received a call from my wife, the phone was silent except for she was crying. I knew she was at her doctor’s appointment so my heart just sank. Finally she said they can’t hear the baby and she was heading for more tests. I was an hour away and that was a very long and difficult drive. I think the hardest part of losing a baby during pregnancy was how easily it was dismissed by others. It is very difficult and painful to go through such a loss, especially for my wife, it just added more pain to see such indifference. I appreciate you sharing something so personal here. 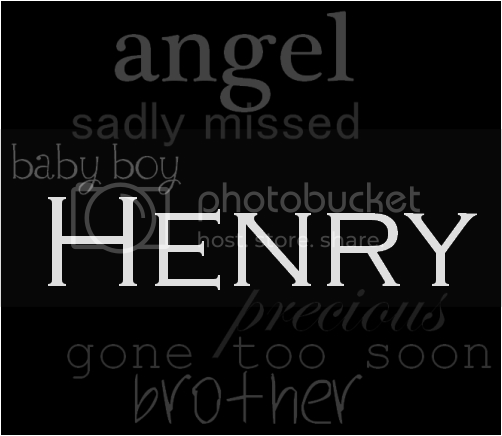 Letting others know about Henry and what affect he had on your family. This is a very traumatic event and by you sharing your story I hope others will realize the pain someone goes through when this happens. Thank you, Jim! I am so very sorry for your loss. 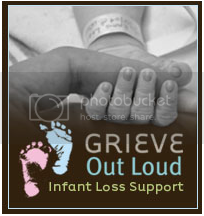 To be honest with you, nobody really understands what it is like losing a baby unless they have experienced it. I have found some wonderful people in this online baby loss community who have been of great support to me. It can be very tough and very lonely dealing with this kind of grief. I am here for you and your wife if you ever need/want to just talk about things. I miscarried almost 2 months ago at only 9 weeks. But it was the most fulfilled time of my life not having any children yet to call my own, making it so awful when it ended. Life doesn’t allow for grief. I relate to Jim (above) as the words “natures way” are constantly used as if to bring relief. The world around so passive to a “miscarriage”. Being sent home from the hospital w/ a note to return to work in 3 days just one slap in the face of many. I can’t complain, I love my life, but there’s an emptiness that I never knew before, even time spent hoping for the “man of my dreams”, whom I was definitely blessed with. It has been a strain on our relationship as his way of coping is very inverted but genuine when he voices the pain it has also caused him. I never knew how many emotions a person could have until this. I fall in and out of sadness, mostly lostness even thought I can honestly say I am a happy person. And the big question, when to try again? If to try again? I want back what was taken from me, then I read a story like yours and know I am not alone and it brings me a little bit of peace. Thank you so much for reading and for writing. I am so terribly sorry for your loss. It definitely helps to share with others who have had similar experiences. I am here for you if you ever need a chat or someone just to listen. I totally get how you are feeling! I wish you peace and strength and all the best with your future endeavours.